We are a veteran run 501c3 non-profit. 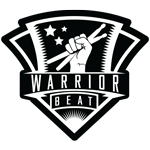 Warrior Beat is proud to be a Recreational Music Partner with Remo. Contact Warrior Beat about services, drum circles, comments and questions.